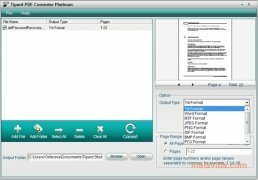 Tipard PDF Converter Platinum can transform PDF files to a large variety of text and image formats. 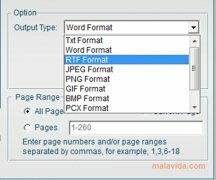 If you need to modify a file that is in PDF format, you will be able to convert it to a Word text format, and thus modify it. 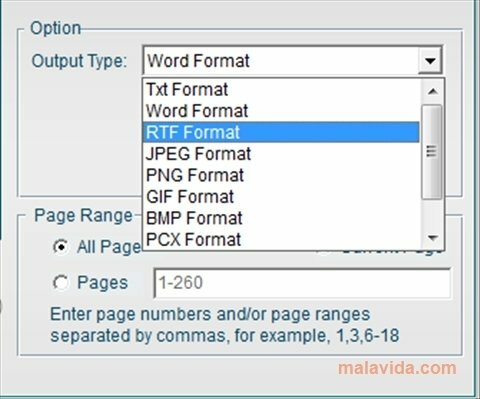 This simple converter allows you to change the PDF files to different text formats: Word, TXT, RTF. What's more, it can also convert them to some image formats like JPEG, PNG, GIF, BMP, TGA or TIFF. The process is very simple: select the PDF files that we want to change. Afterwards, we have to select the output format and the document pages that we are going to convert. We can select all kinds of documents, specific pages, or the page that we are on. 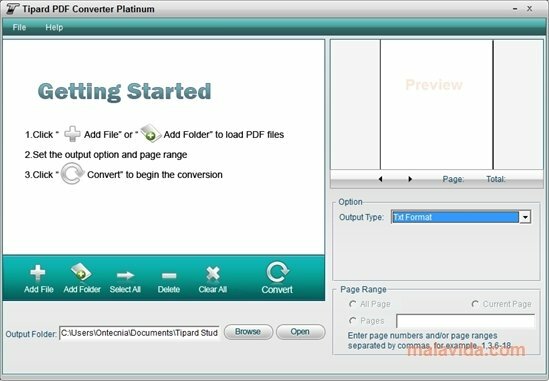 After that all we will have to do if click the convert button, and Tipard PDF Converter Platinum will store the files in the folder that we have indicated previously. Furthermore, it also allows to preview the document before exporting it. Tipard PDF Converter Platinum is a PDF file converter that is worth taking into account due to its simplicity and effectiveness. The trial version has certain limitations: - It only allows you to convert the first 3 pages of each document. - It adds a watermark to the exported files.